Calvin Klein Eternity Now Loción Corporal 100ml (nuevo). Calvin klein eternity now body lotion 100ml (new).. Dispatched with Royal Mail 2nd Class. Calvin Klein Eternity For Women Flame Edp 100ml. Condition is New. Dispatched with Royal Mail 2nd Class Signed For. Passionate and seductive, ETERNITY FLAME for her celebrates the most important journeys in life -those of intimacy and love. The alluring florientalscent layers mandarin and sweet pea flowers over Labdanum resin. The unexpected mix of bright fruits and spicy florals creates a warm and sensual scent with an addictive finish. The fragrance itself is fire-hued, evoking a burning flame of passion. Embodying the essence of life’s most important elements -it is a solar force, symbolizing warmth, devotion and affection. BNIB Calvin Klein Obsession Eau de parfum spray 30ml. Condition is New. Dispatched with Royal Mail 2nd Class. Calvin Klein (CK) - Truth EDP 100ml Spray For Women, little used, no box, No Lid. Condition is Used. About 2/3rds full Dispatched with Royal Mail 2nd Class. Calvin klein obsession for women 100ml EDP. I have had a few sprays out of this but decided I don’t like it. It is therefore nearly new! Dispatched with Royal Mail 2nd Class. Calvin Klein Sheer Beauty 50ml Eau De Toilette Spray bnib. Condition is New. Dispatched with Royal Mail 2nd Class. Calvin Klein Escape Parfum Spray .100ml. 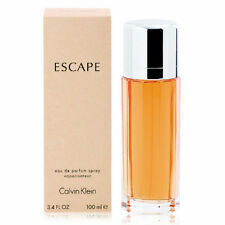 Calvin Klein Escape Parfum Spray.100ml.. Condition is Used.It was just sprayed once.Box not perfect. Calvin Klein Forbidden Euphoria 100ml 100% authentic Part of gift set Condition is Used Once Dispatched with Other Courier (3 to 5 days). CKIN2N Her es una fragancia para mujer, está pensada para todas las edades pero en especial en gente joven, tiene notas florales orientales. Envase de 100 ml. BEAUTY EAU DE PARFUM 100 ML. CALVIN KLEIN. Calvin Klein Deep Euphoria Eau De Parfum Spray 30ml. 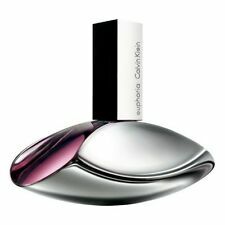 condición es nuevo..
Calvin Klein Deep Euphoria Eau de Parfum Spray 30ml. Condition is New..... Condition is New. Dispatched with Royal Mail 2nd Class. Perfume Mujer Calvin Klein Deep Euphoria 100 ml nuevo sin caja!!!! CK Sheer Beauty Essence está inspirado en la feminidad, la gracia y la elegancia de las mujeres, y quiere evocar la alegria de vivir. A punto de finalizar. Notass de salida: Flor de Pera Nashi, Durazno Blanco. 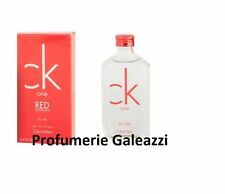 Ck In2u Her Eau de Toilette Spray 150 ml. Tipologia: Eau de Toilette. CALVIN KLEIN. Formato: 150 ml. En logística no son días hábiles sábados, domingos y festivos. Contradiction Eau de Parfum Spray 100 ml. Tipologia: Eau de Parfum. CALVIN KLEIN. Formato: 100 ml. En logística no son días hábiles sábados, domingos y festivos. Perfume Mujer Calvin Klein Euphoria 100 ml sin caja nueva sin usar!!! Producto original. Precintado a estrenar. Calvin Klein Secret Obsession eau de parfum 100ml con vaporizador. - 1XCalvin Klein Secret Obsession eau de parfum 100ml. Calvin Klein CK Truth Eau de Parfum 100ml. Notas de salida: vetiver,pachulí,bergamota,limón y trébol blanco. Notas de corazón: sándalo,peonía,azucena,mimosa,zarzamora y flor del árbol de la seda. Notas de fondo :almizcle,ámbar y vainilla. With notes of apple, mandarin, peach, musk and sandalwood. Deodorant Spray / Stick. (Orders must be received before 12 noon for this service). Essex SS2 5SP. Southend On Sea. Unit g10 ground floor. A punto de finalizar. En los anuncios viene especificado el lugar de origen del producto. Anuncios a punto de finalizar. Nuevos productos. Nosotros solo aceptamos. Fragancias para ella. Fragancias para el. Calvin Klein CK One Shock For Her es un eau de toilette para mujer perteneciente a la familia olfativa Oriental Especiada. Las principales notas de este eau de toilette para mujer son Fragancias para ella. Calvin Klein Euphoria eau de parfum 50ml con vaporizador. - 1XCalvin Klein Euphoria eau de parfum 50ml. Calvin Klein CONTRADICTION Eau de parfum Vaporizador 100 ml. A punto de finalizar. Notas de cabezaRosa, peonía, jazmín y lirio de los valles. Notas de baseSándalo y haba tonka. En los anuncios viene especificado el lugar de origen del producto. Calvin Klein Obsessed 100 ml nuevo sin desprecintar!!! Calvin Klein Obsessed 100 ml. CALVIN KLEIN DOWN TOWN Eau de Parfum Vaporisateur 50 ml. Producto original, Made in USA. CALVIN KLEIN REVEAL WOMAN EDP 100 ML NEW SEALED!!! CALVIN KLEIN EUPHORIA WOMAN 100 ML ORIGINAL!!! CALVIN KLEIN FORBIDDEN EUPHORIA WOMAN 100 ML ORIGINAL!! !